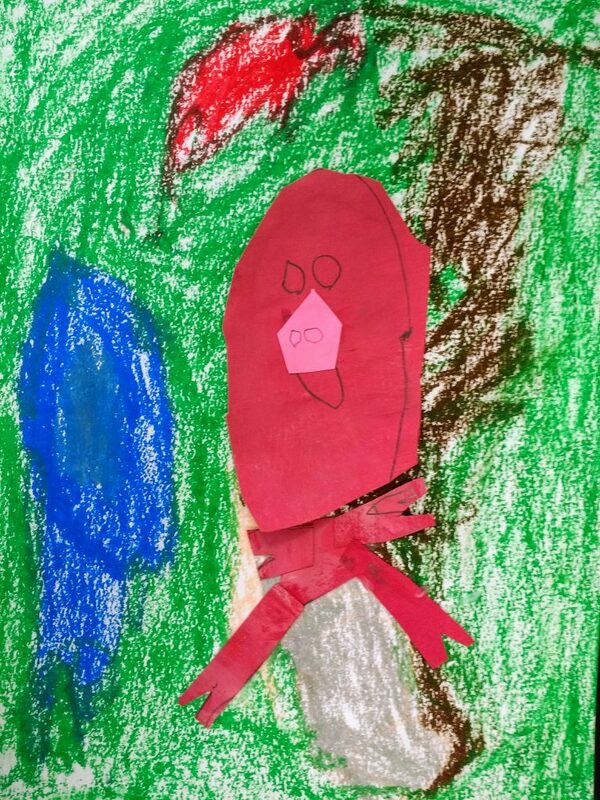 Kindergartners had a blast reading Ribbit! 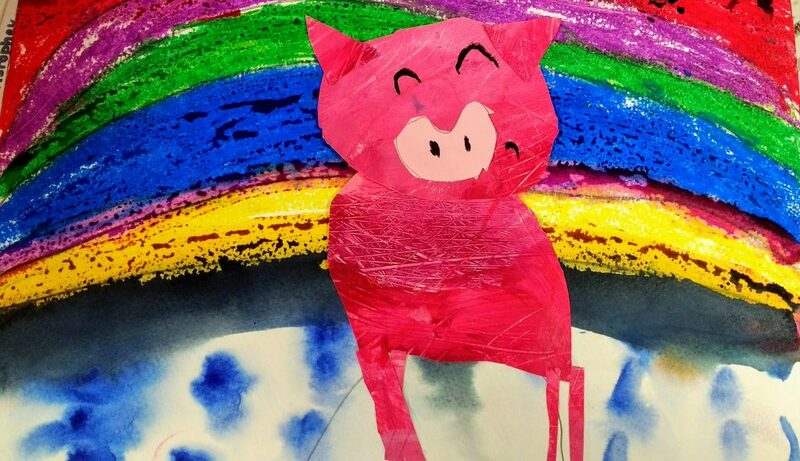 by Rodrigo Folgueira, and they spent several art classes creating their own pigs. 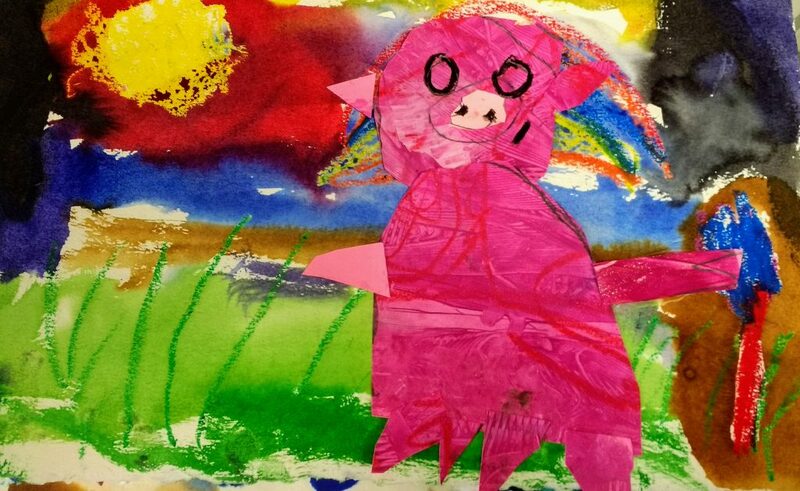 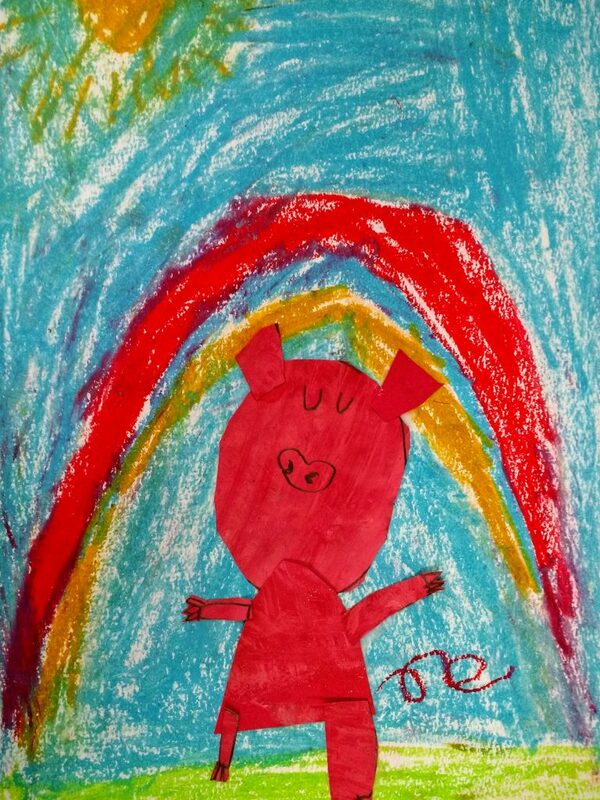 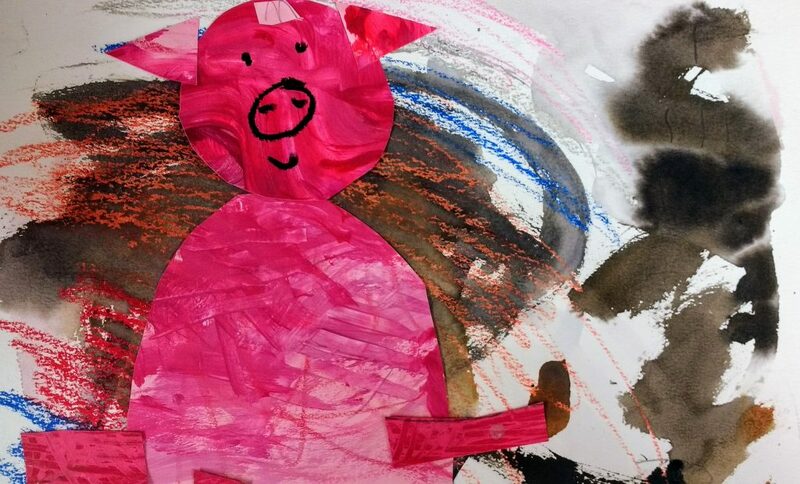 First they learned how to make textured painted paper, and then they designed a setting for their pig using oil pastel. 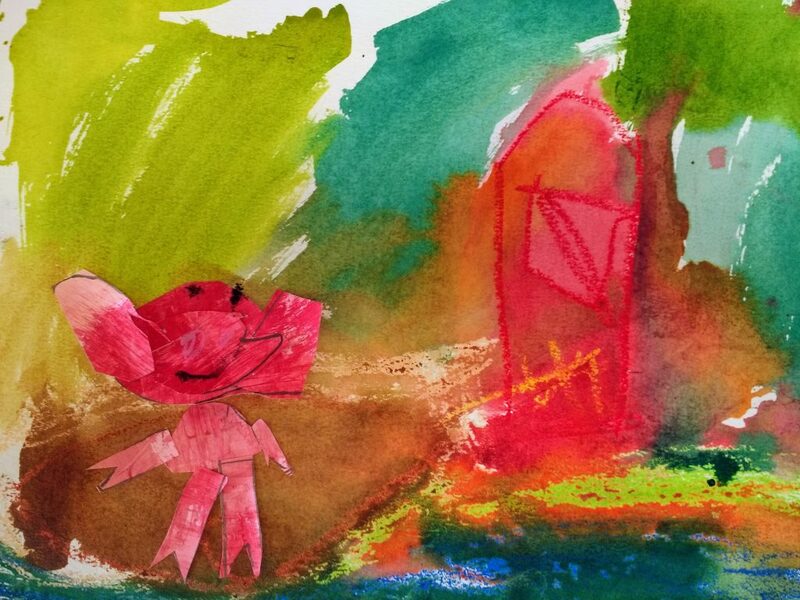 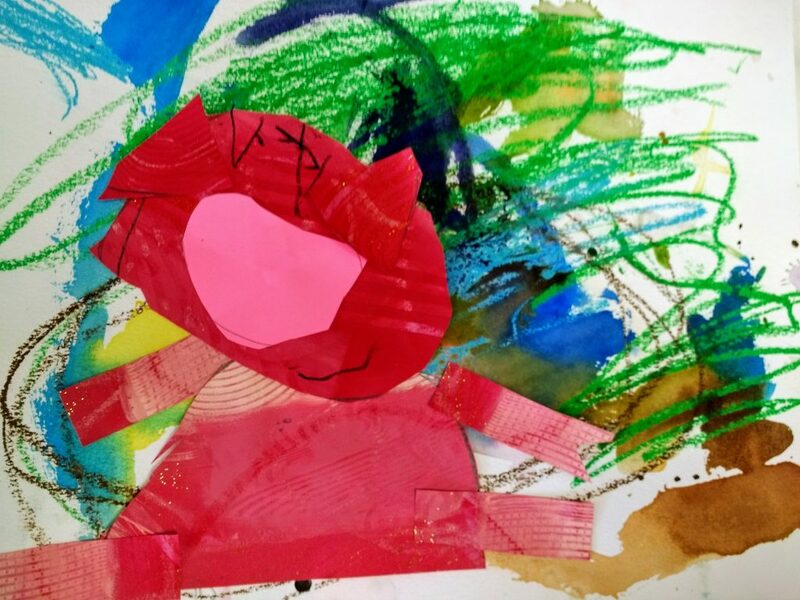 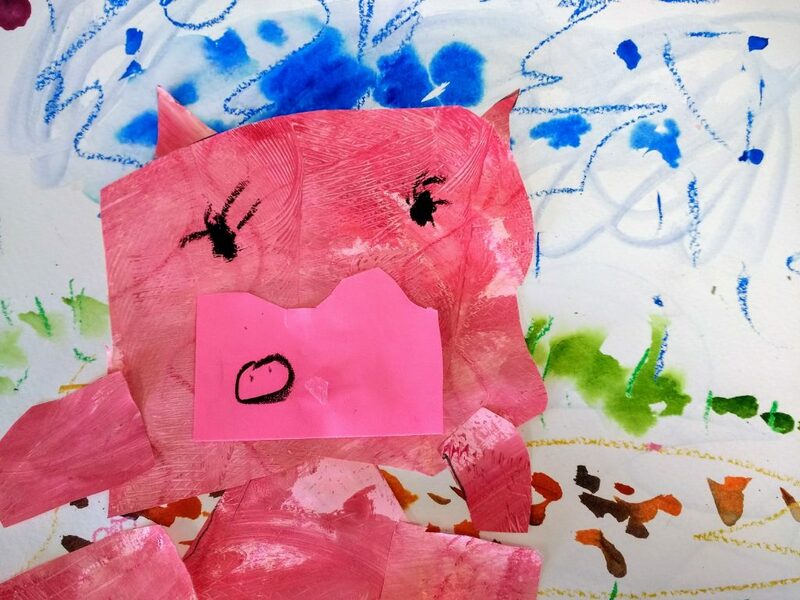 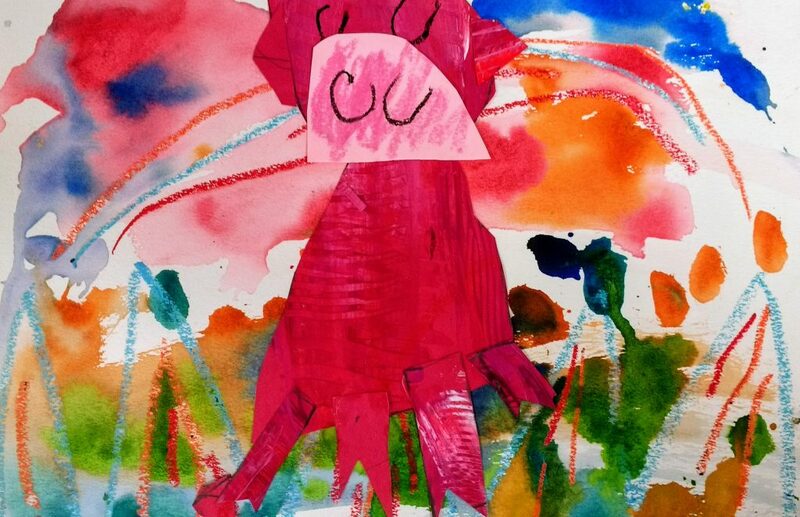 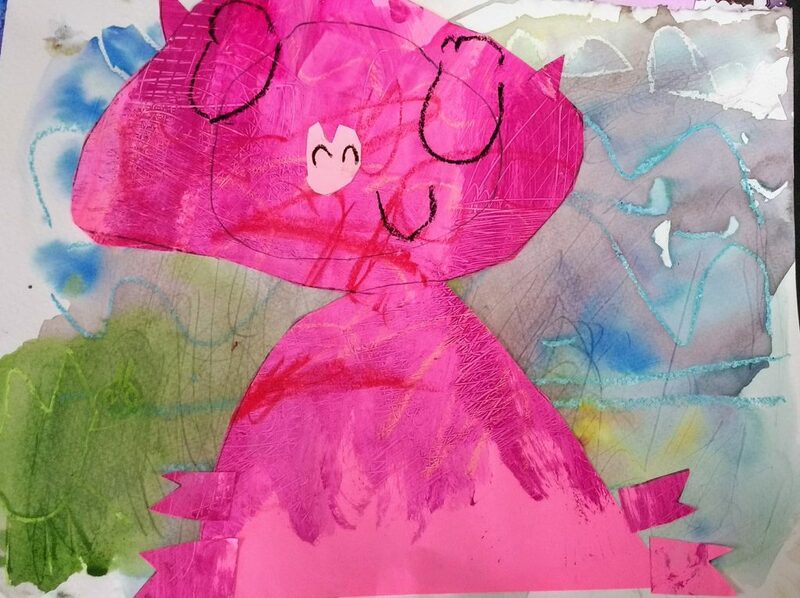 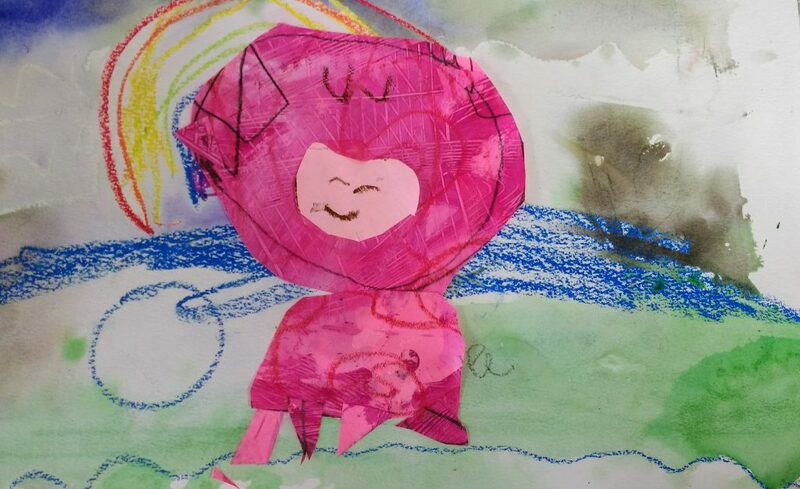 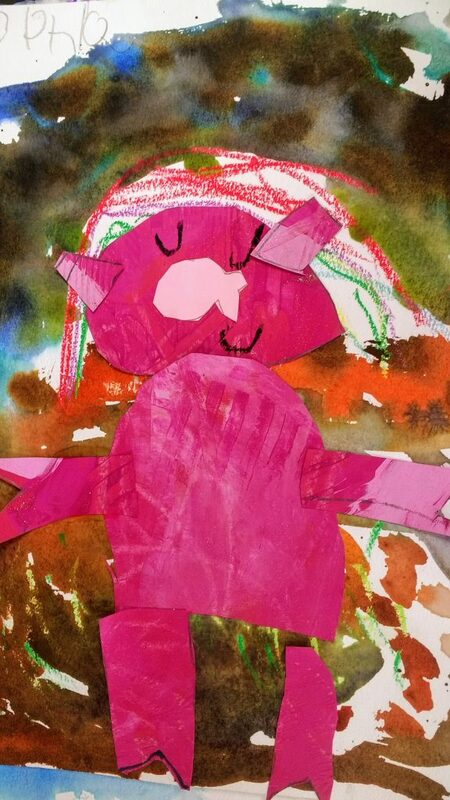 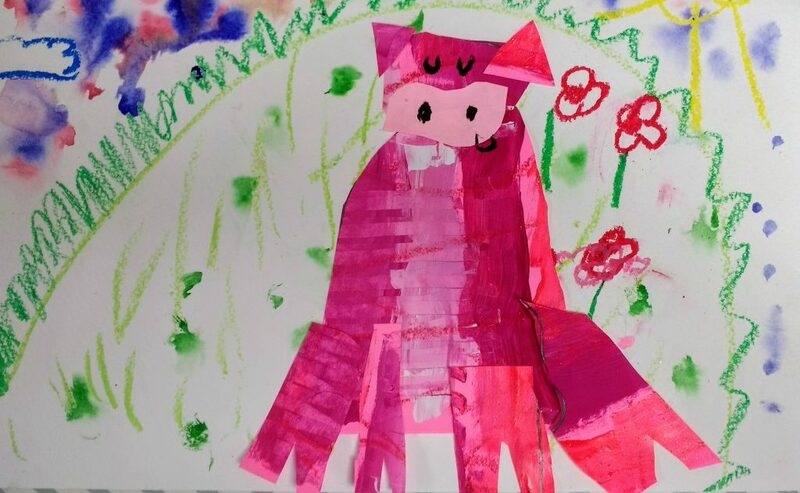 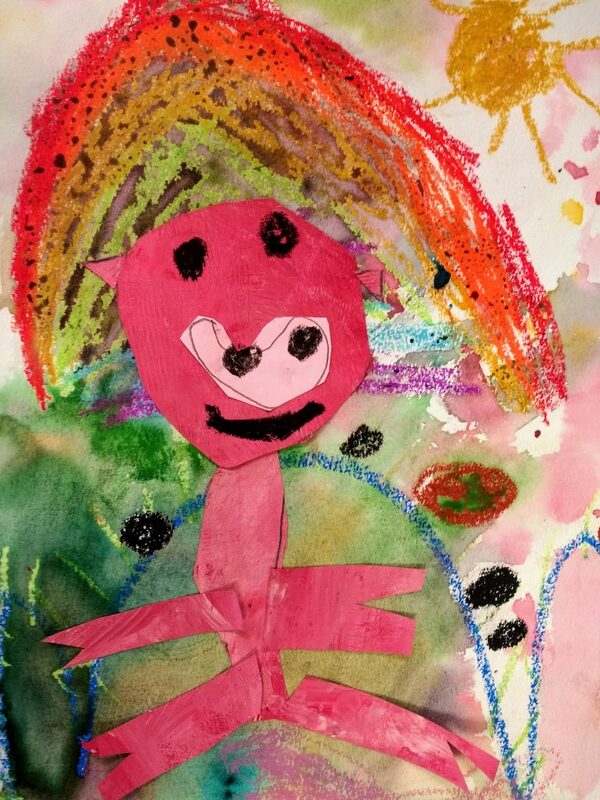 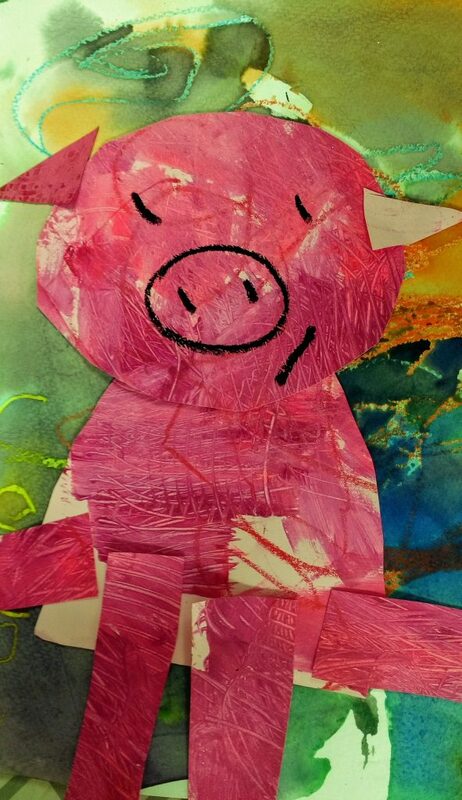 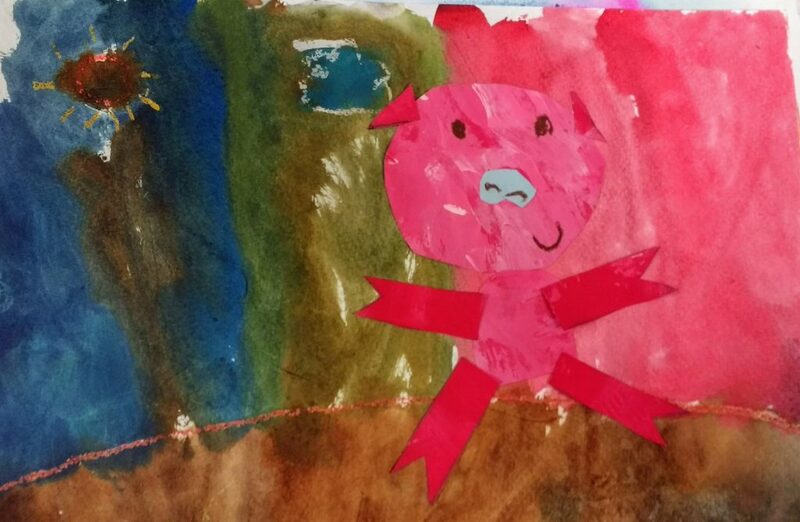 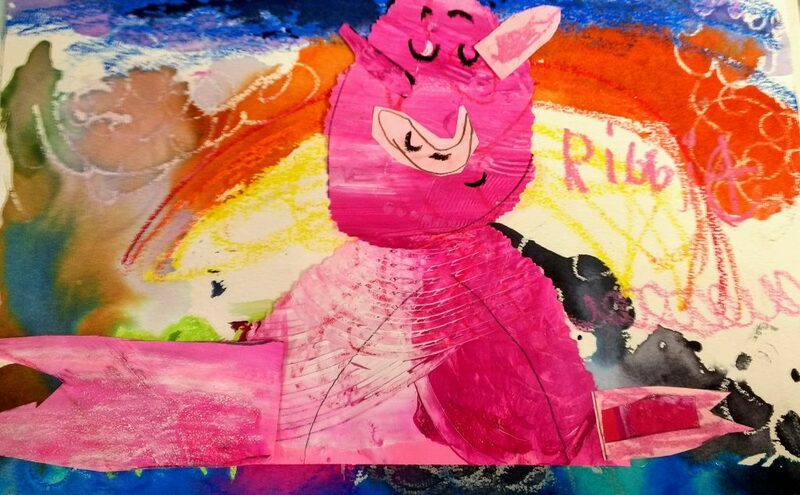 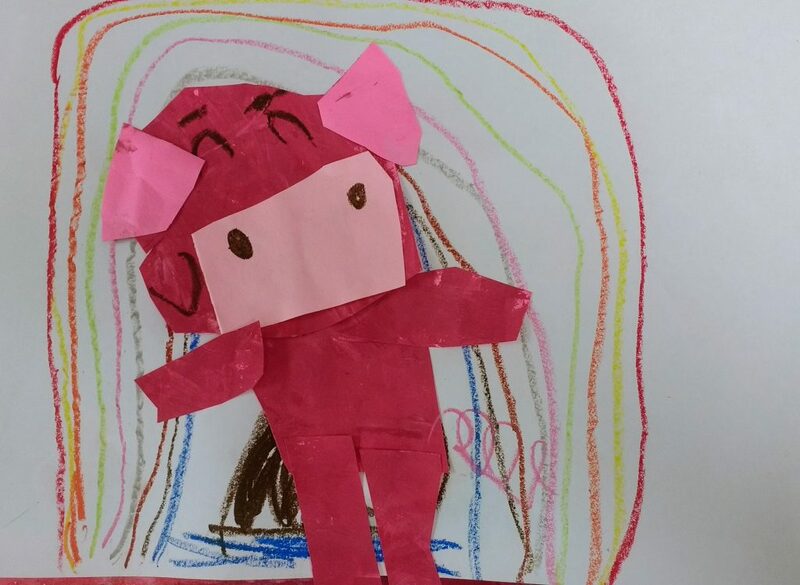 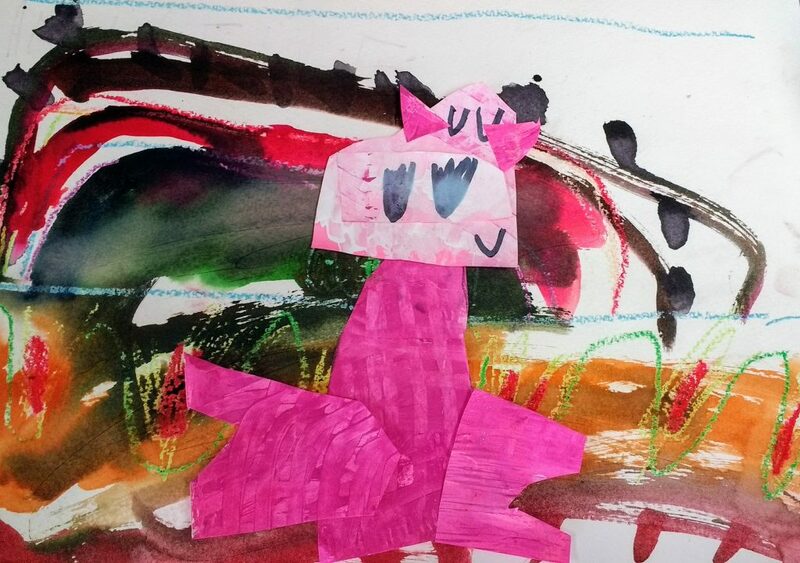 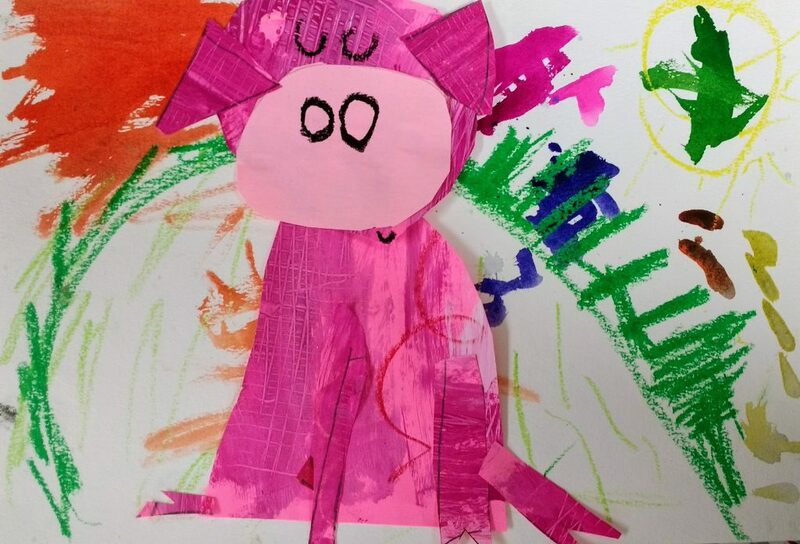 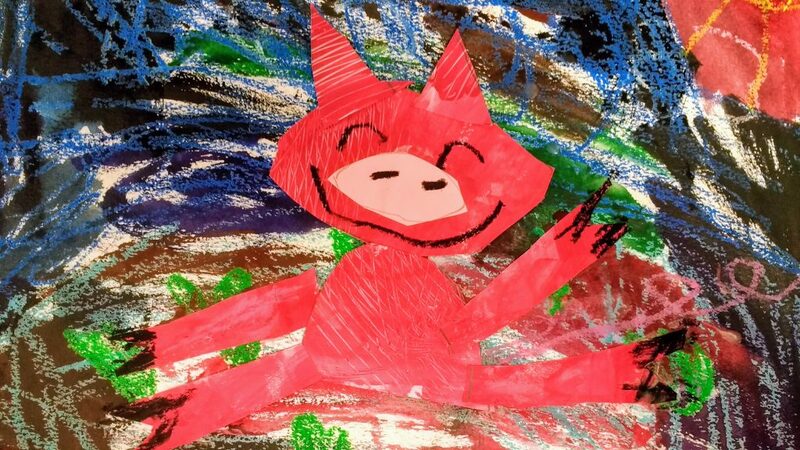 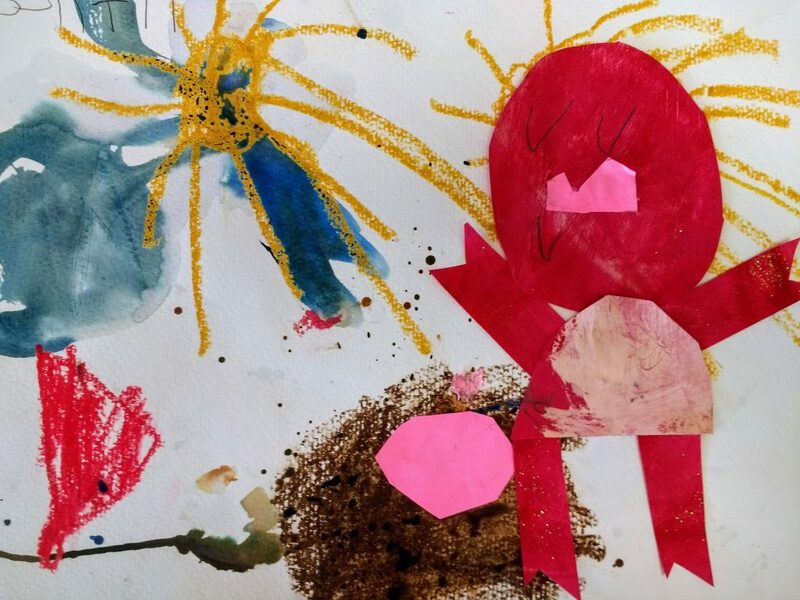 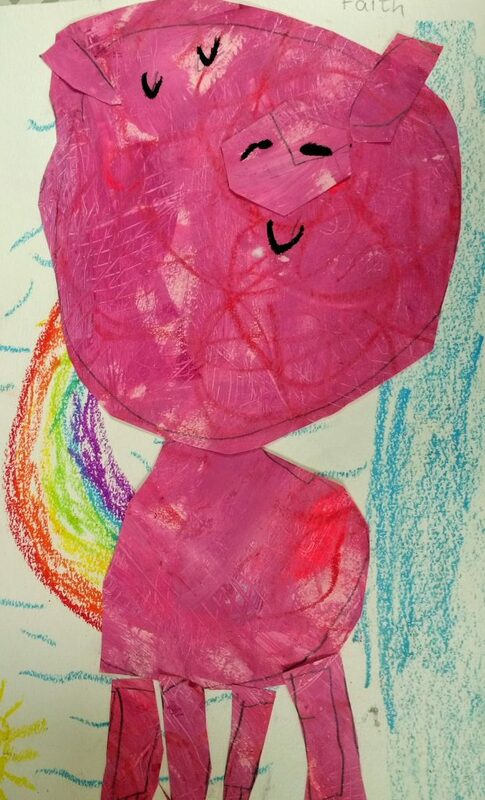 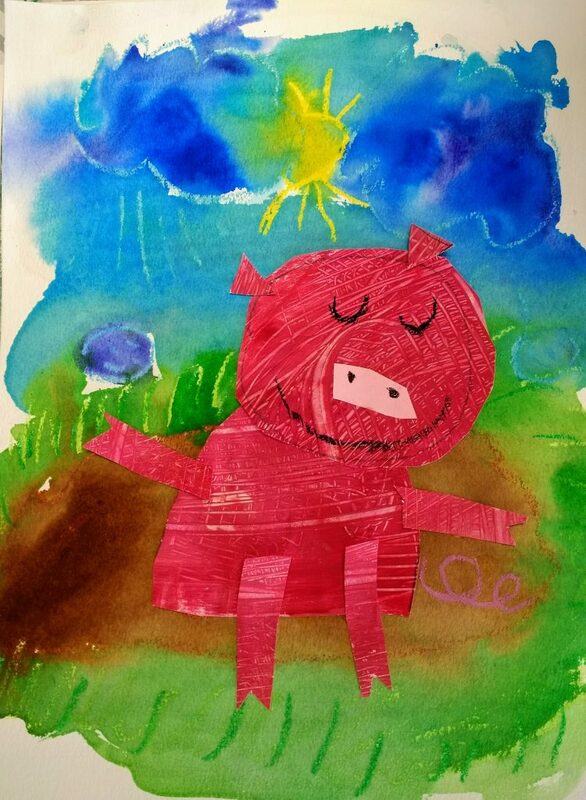 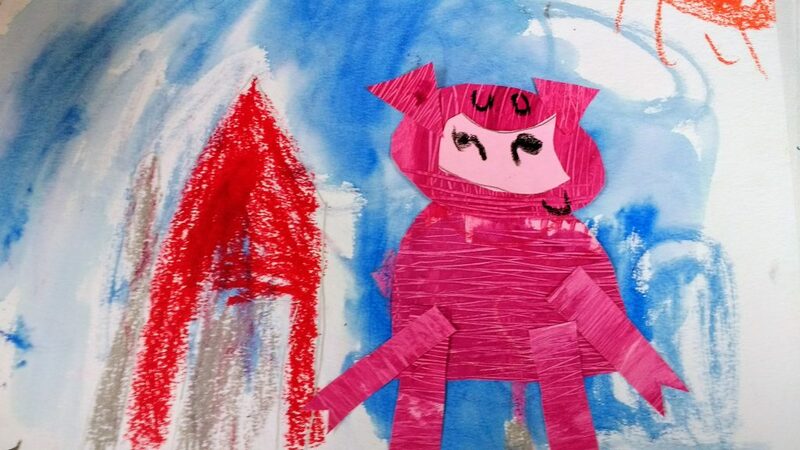 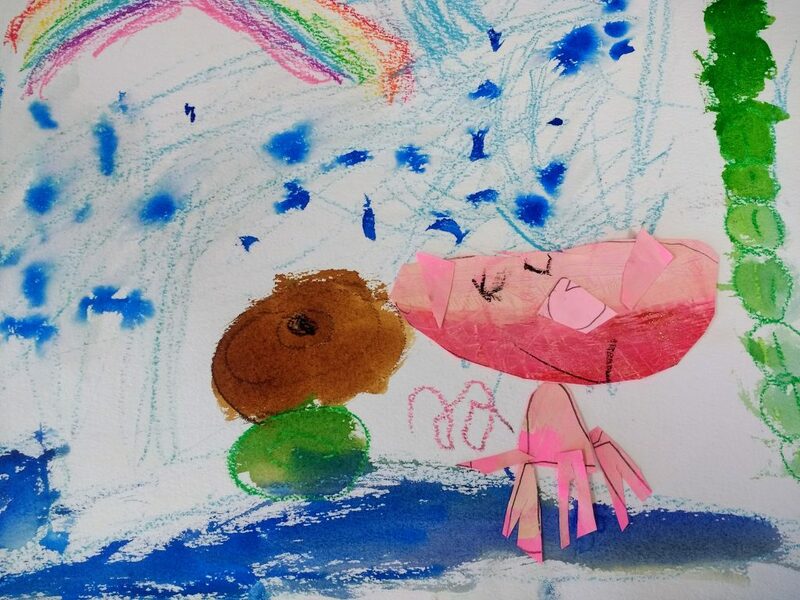 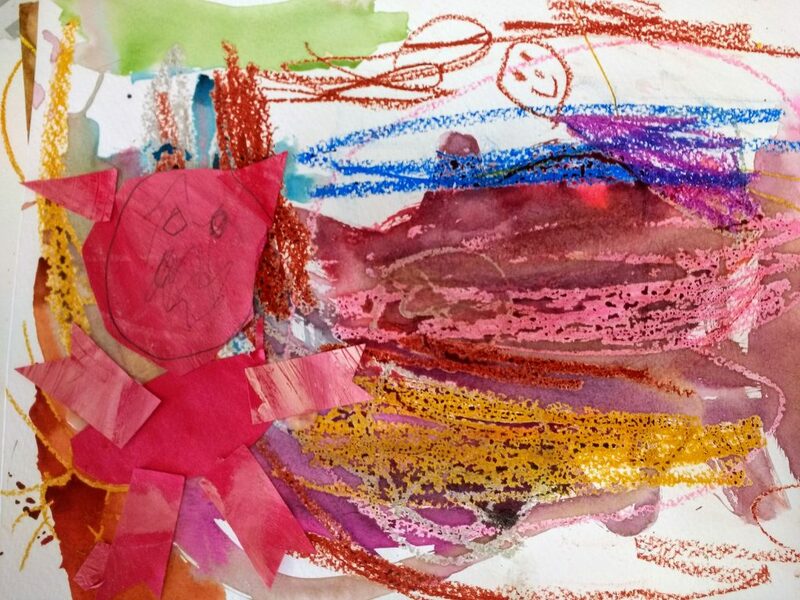 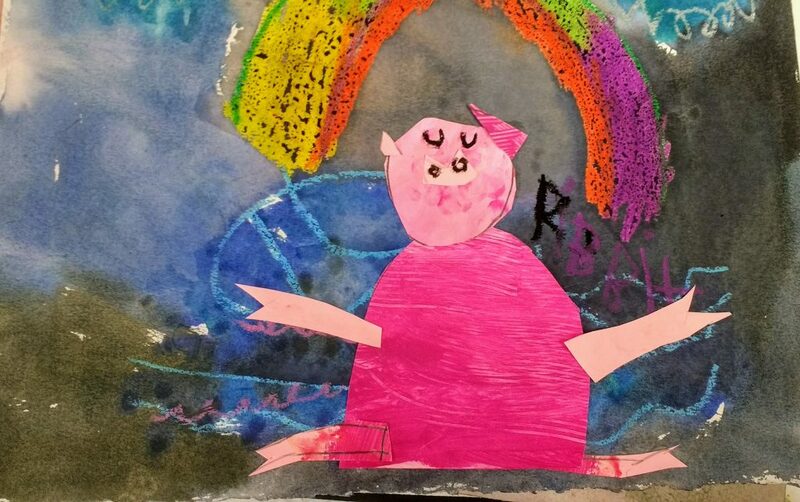 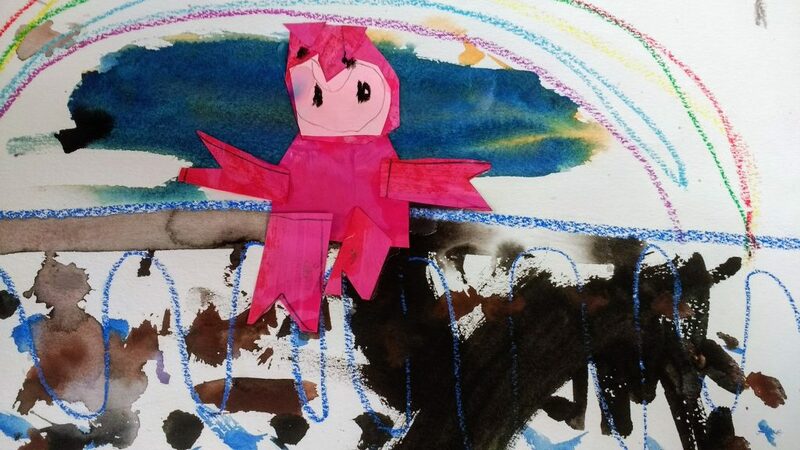 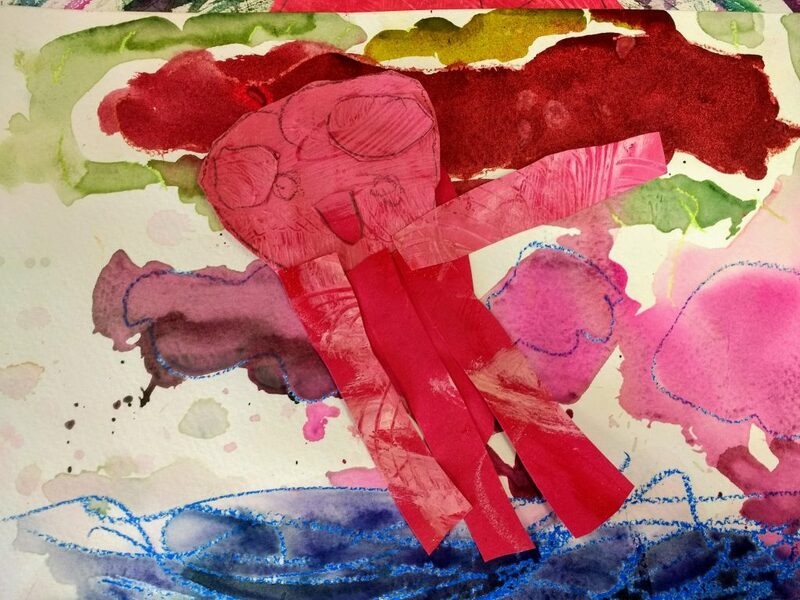 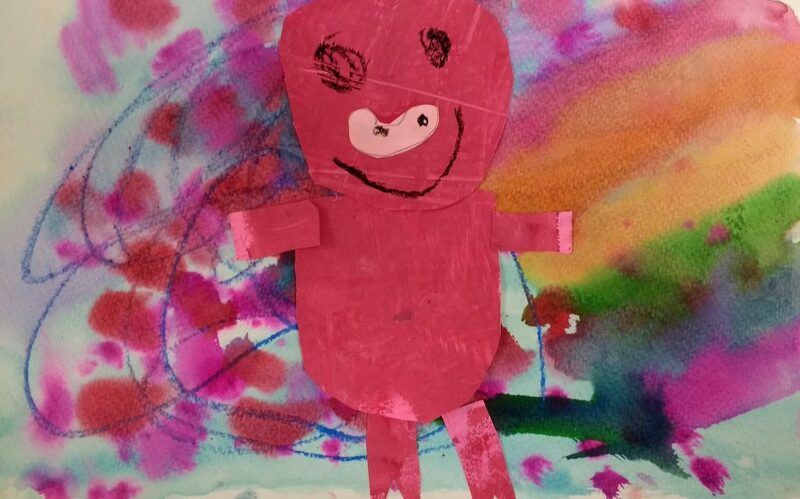 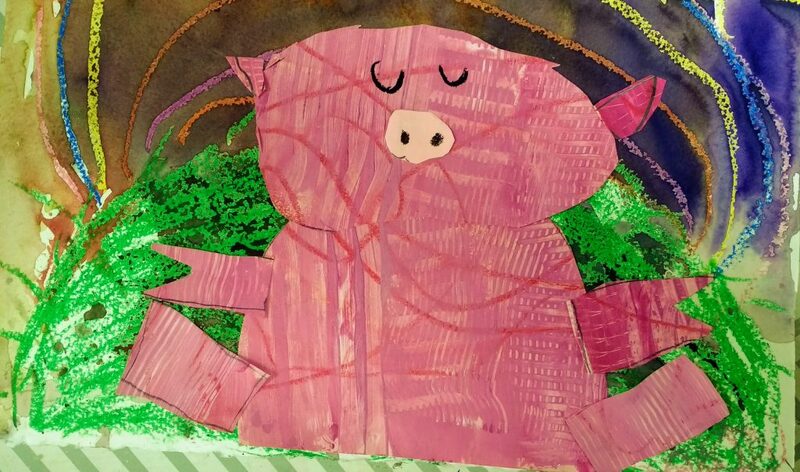 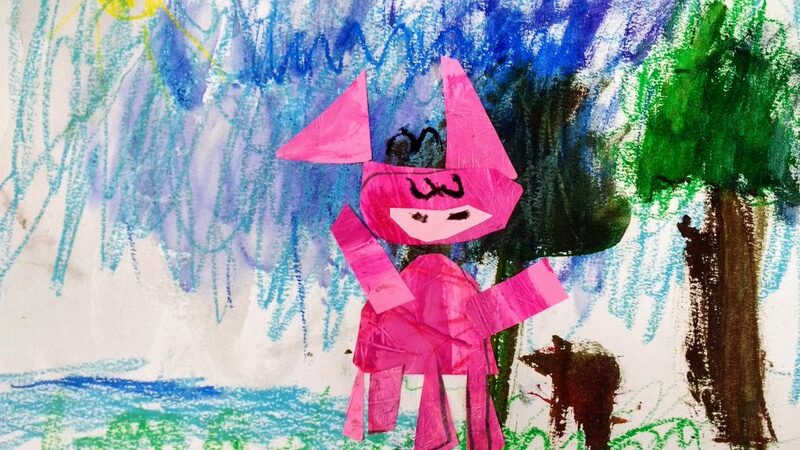 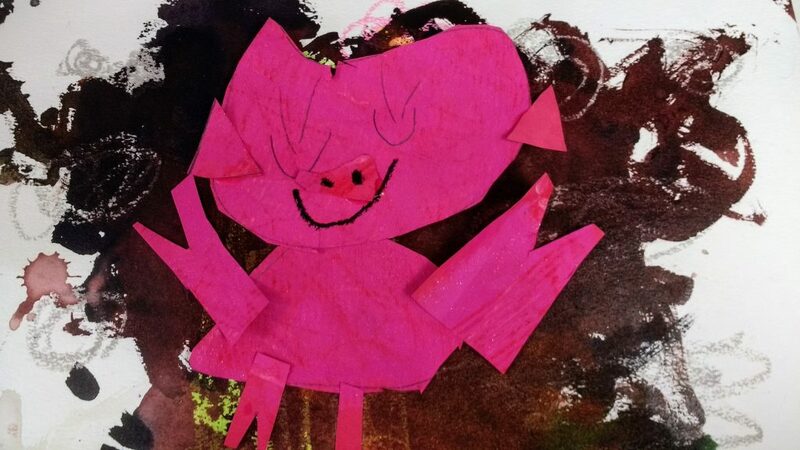 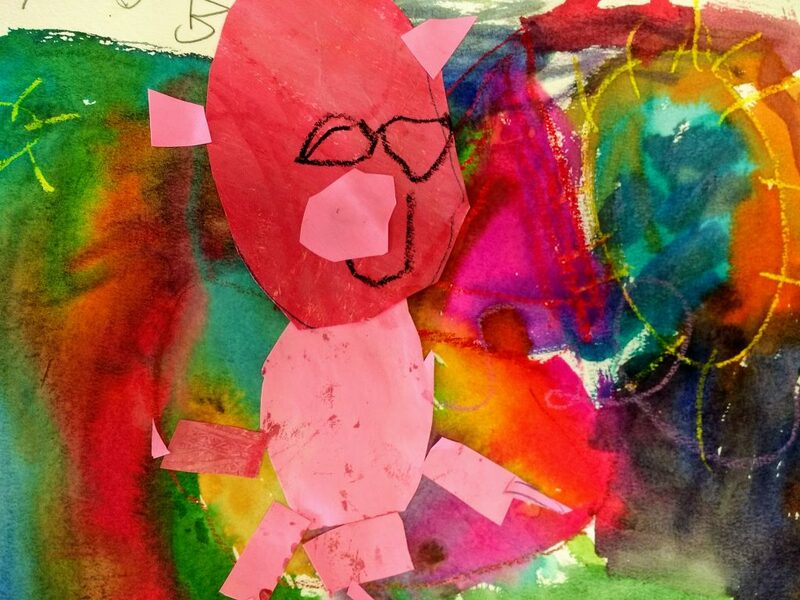 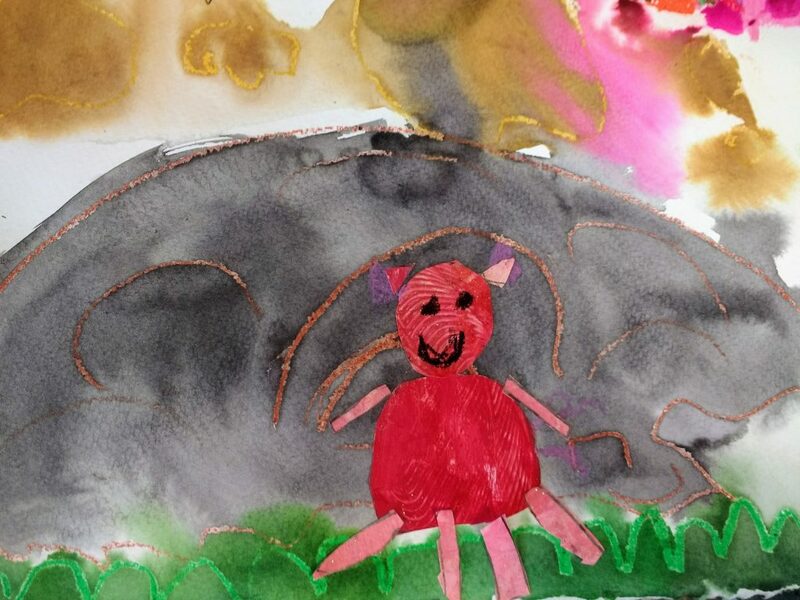 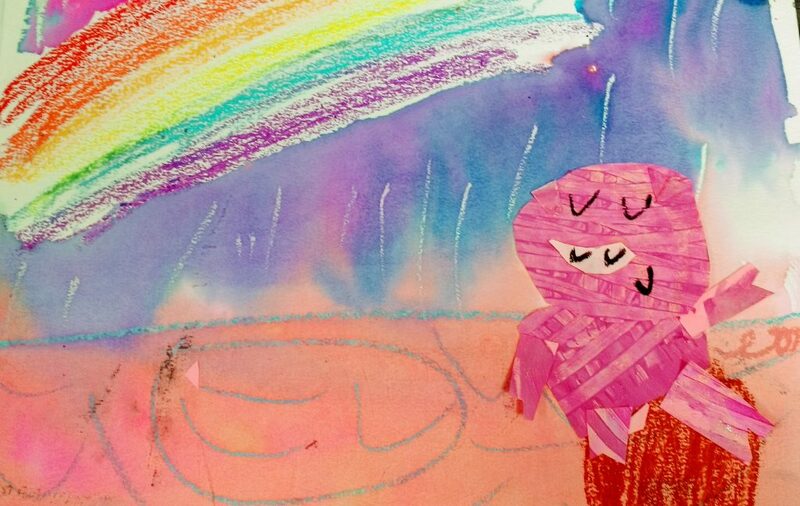 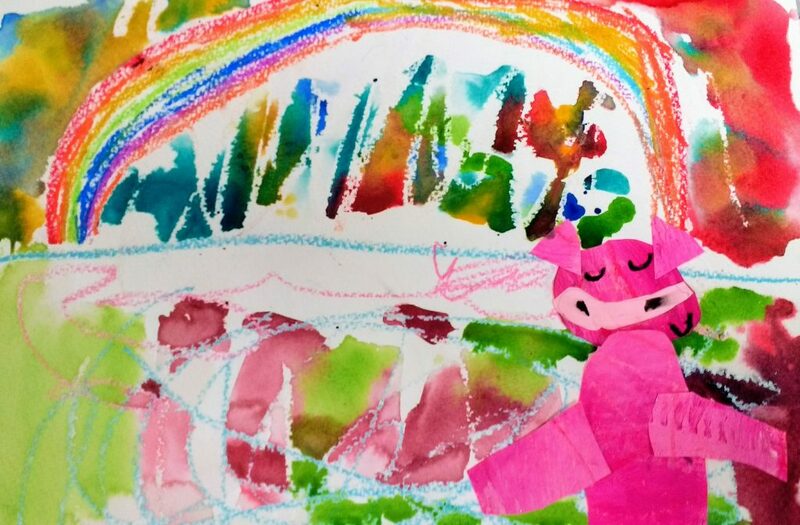 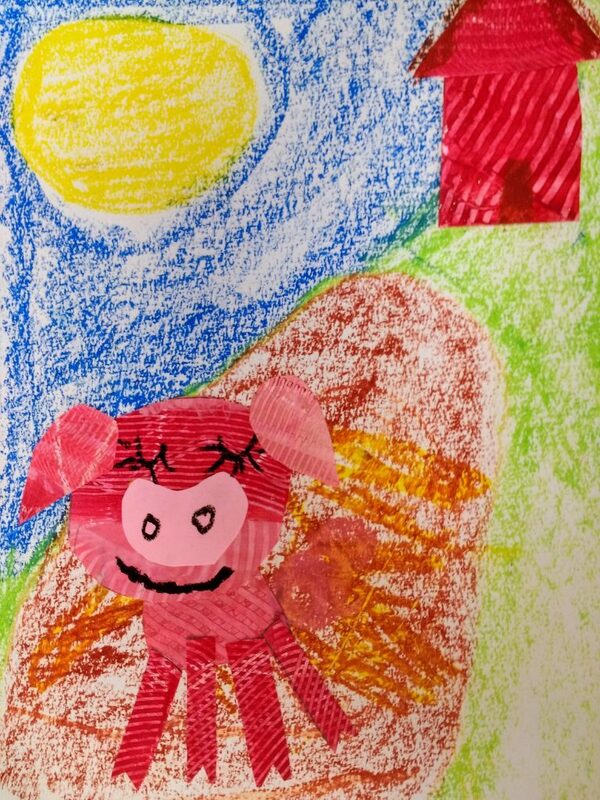 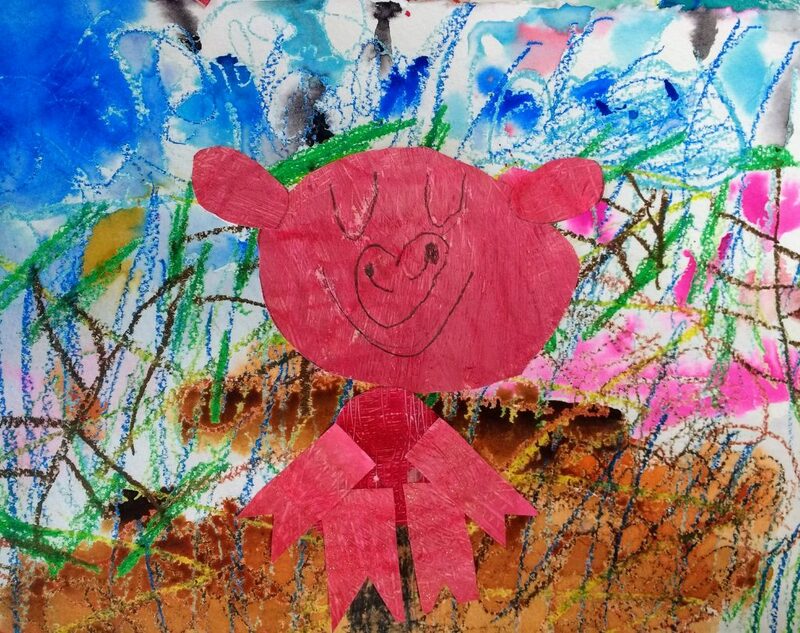 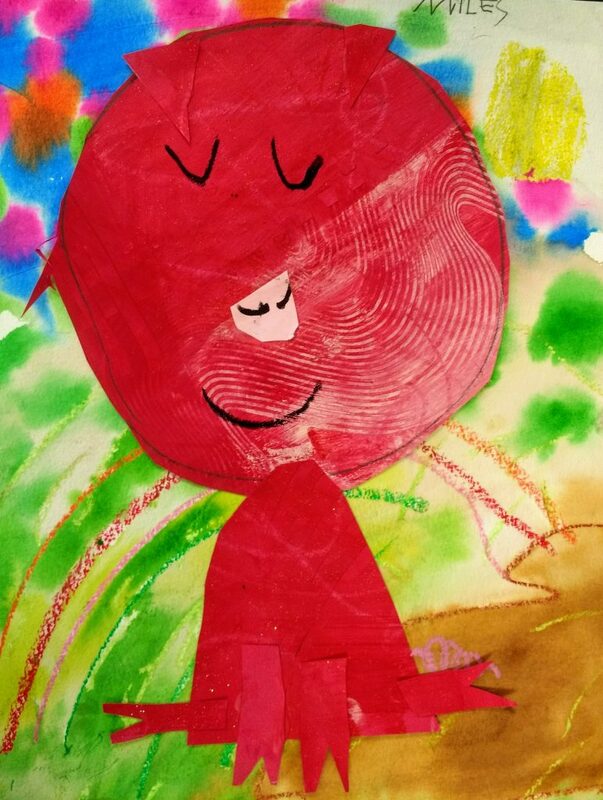 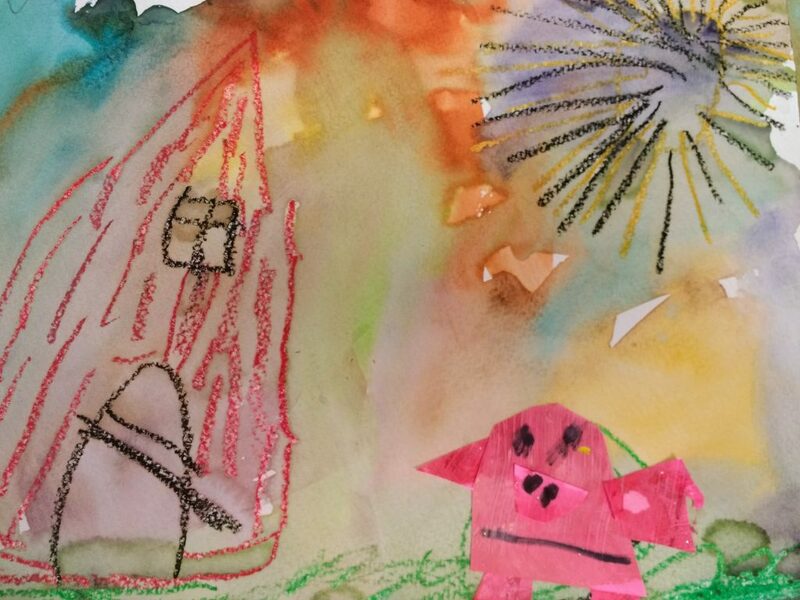 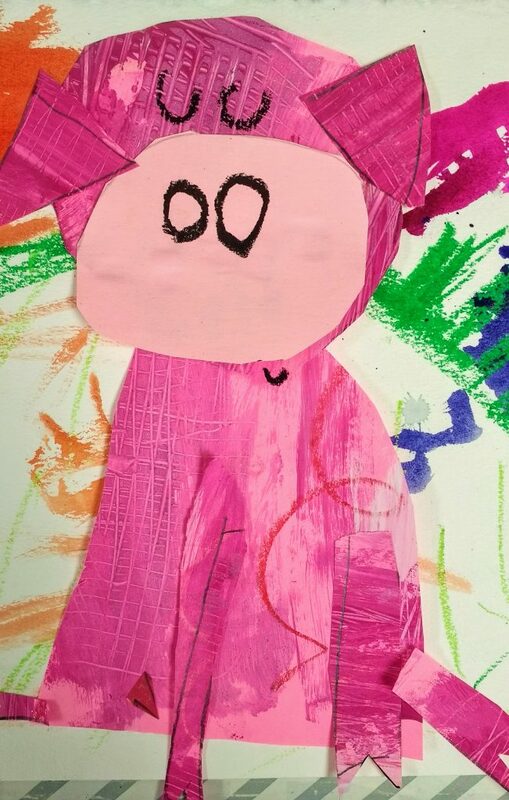 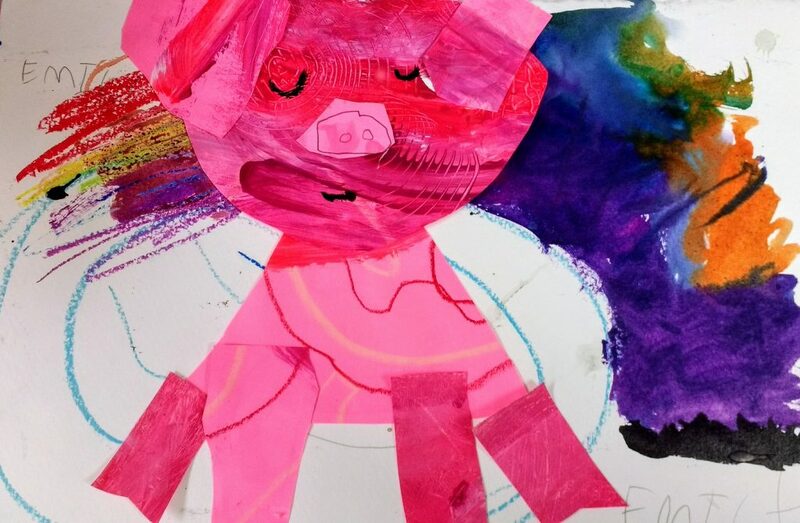 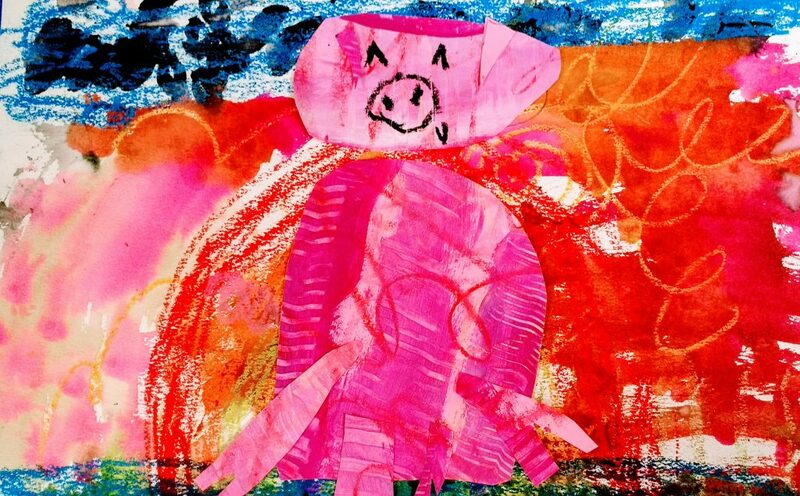 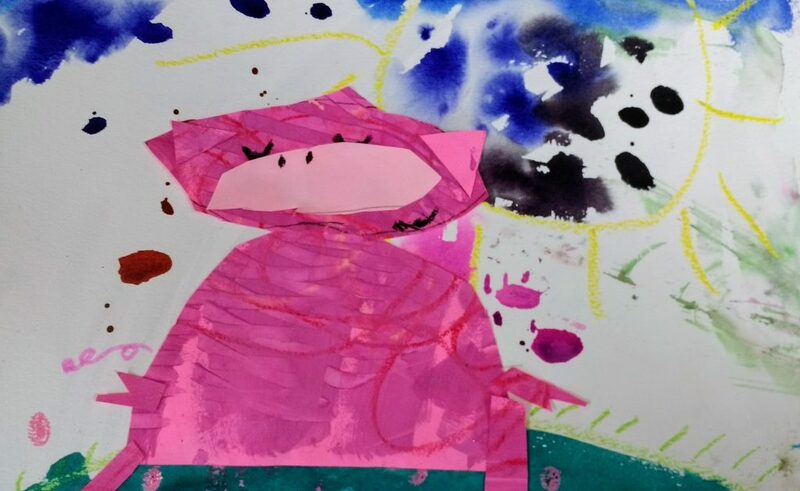 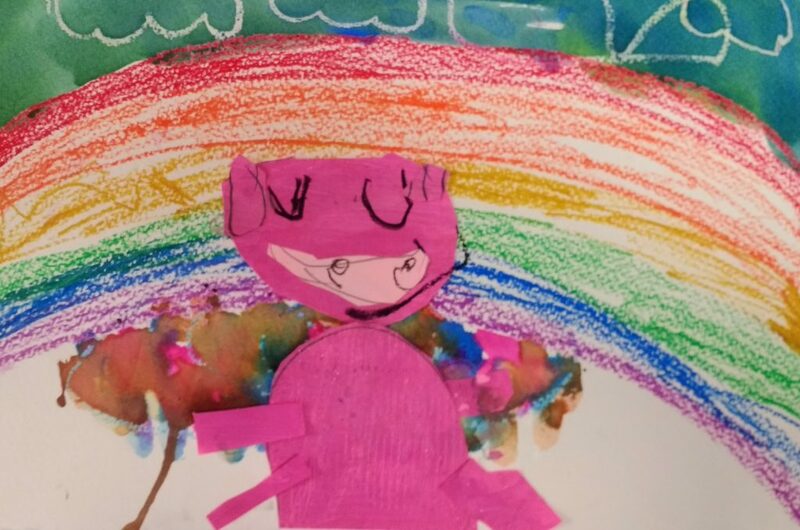 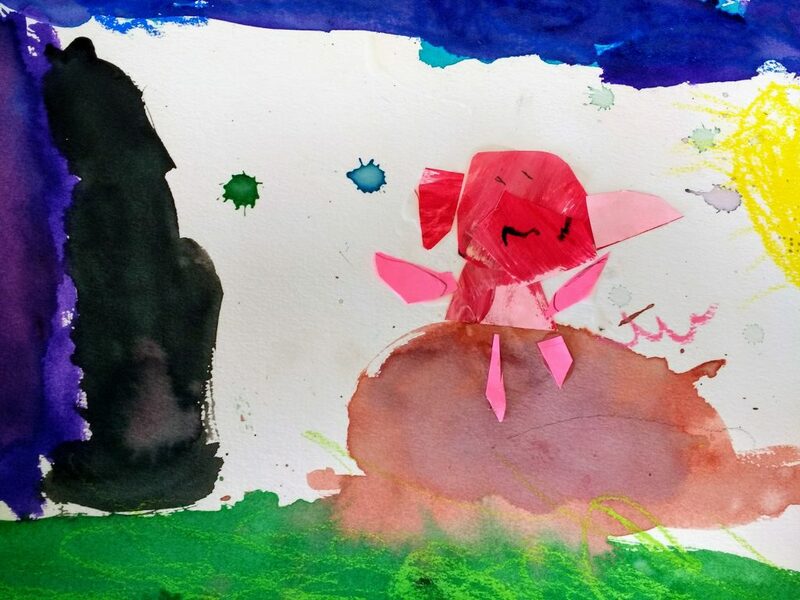 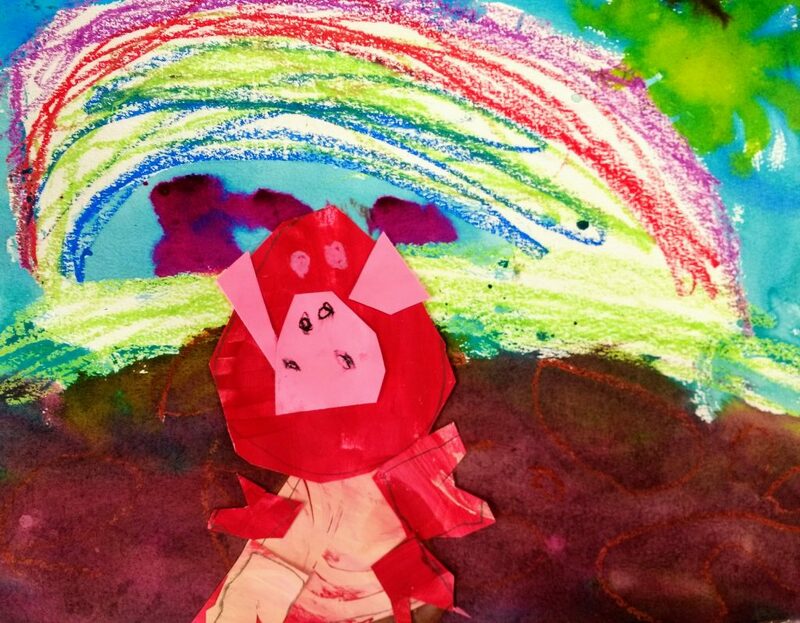 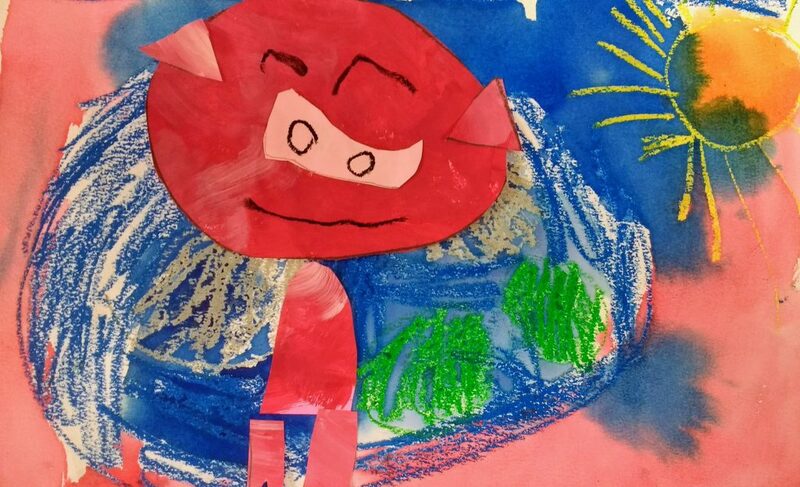 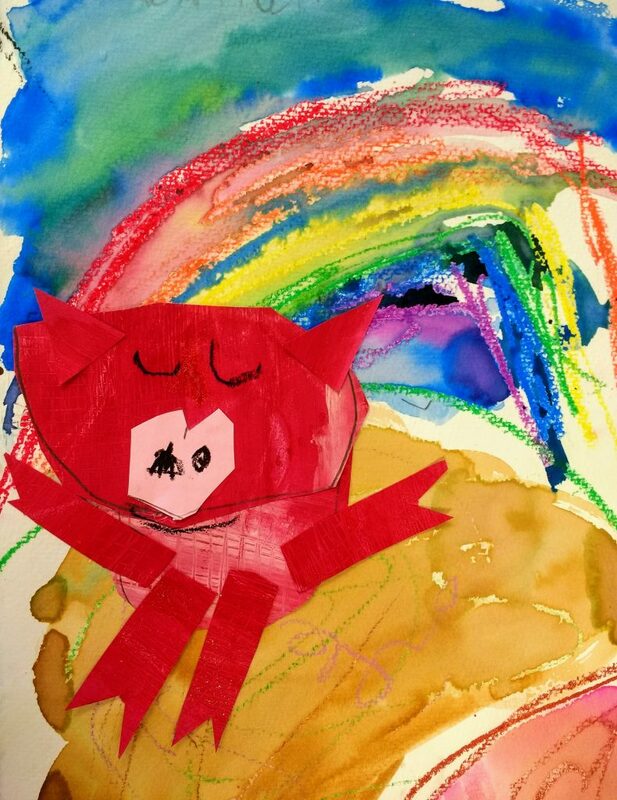 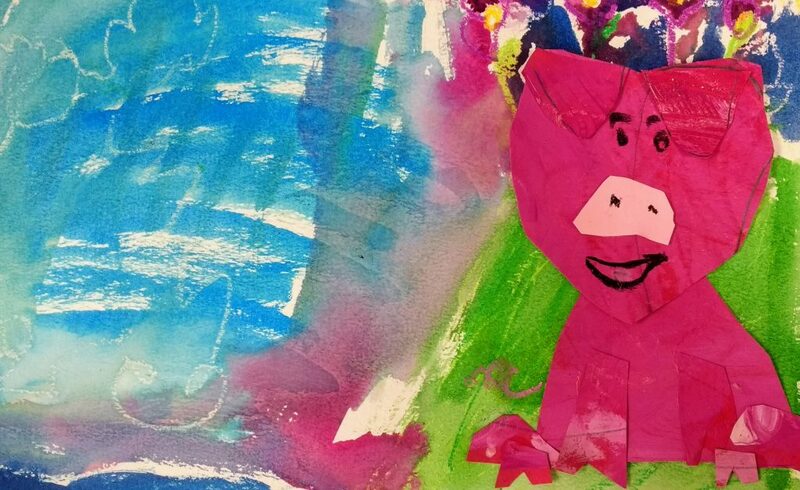 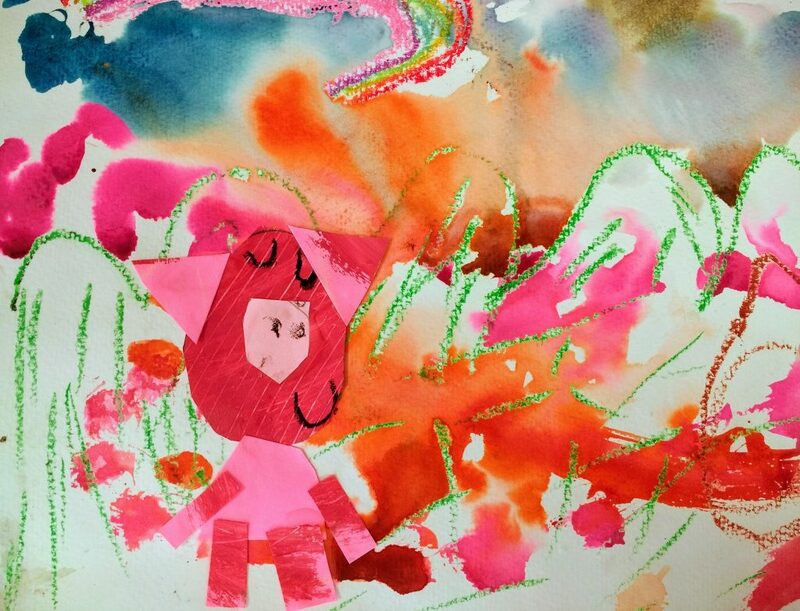 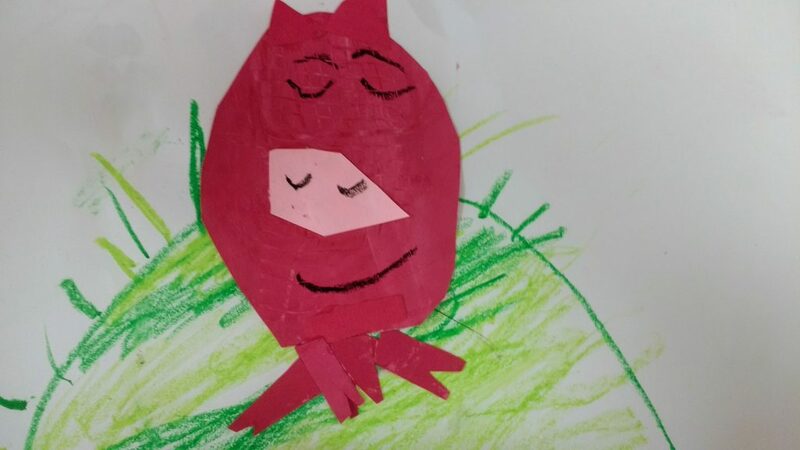 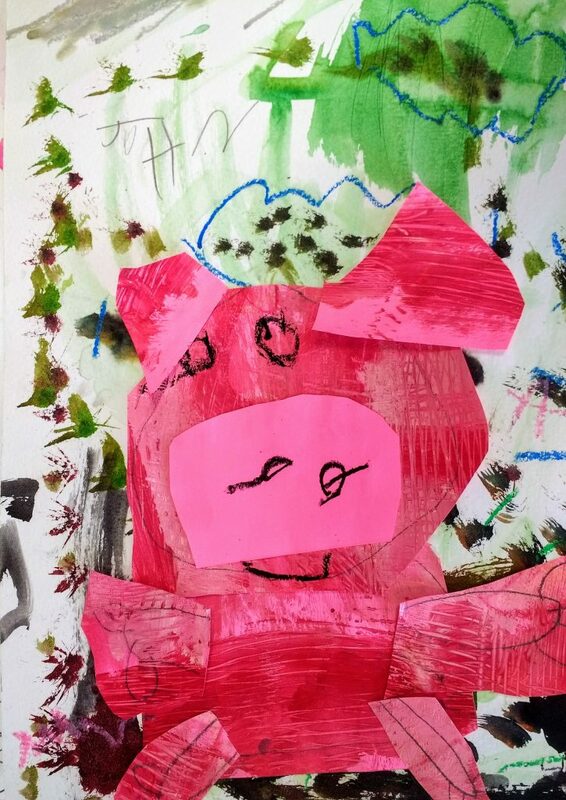 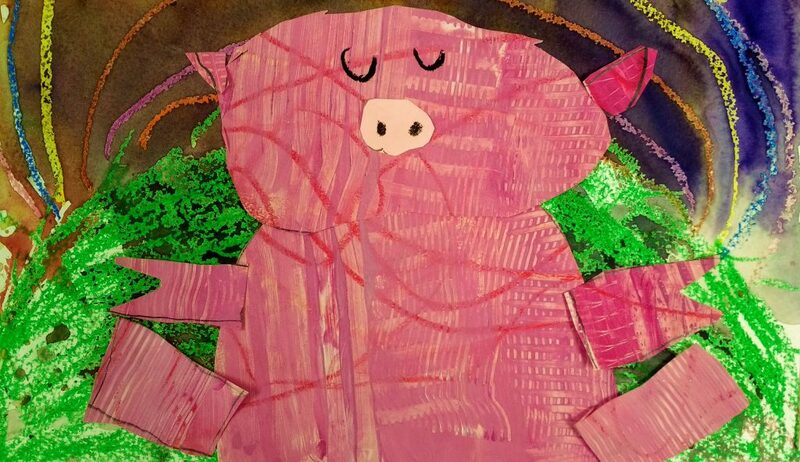 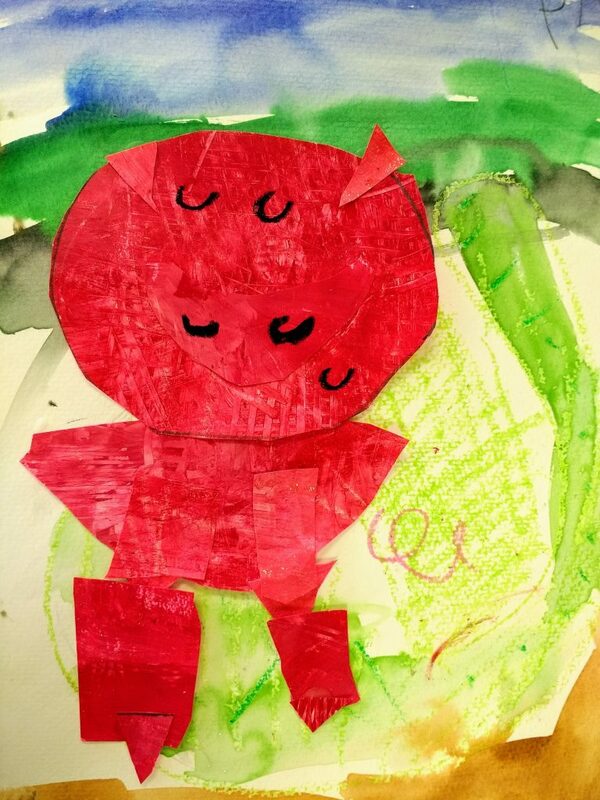 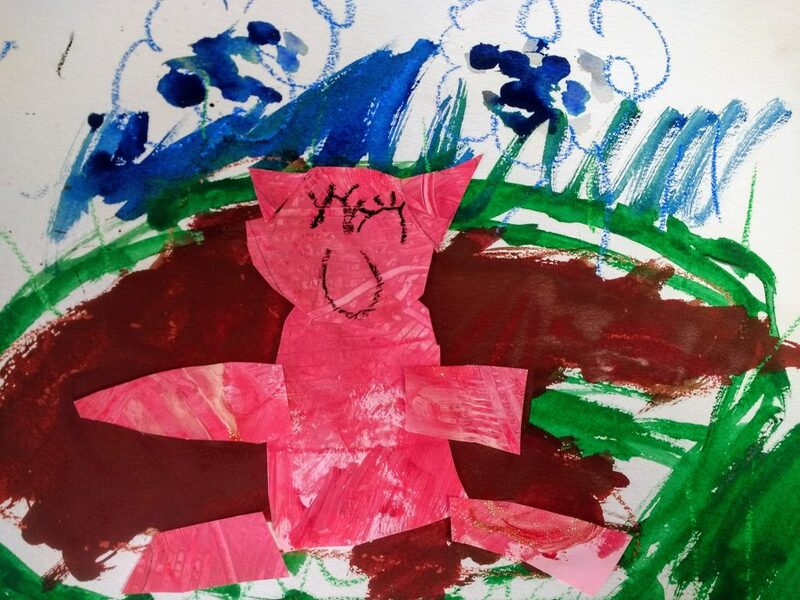 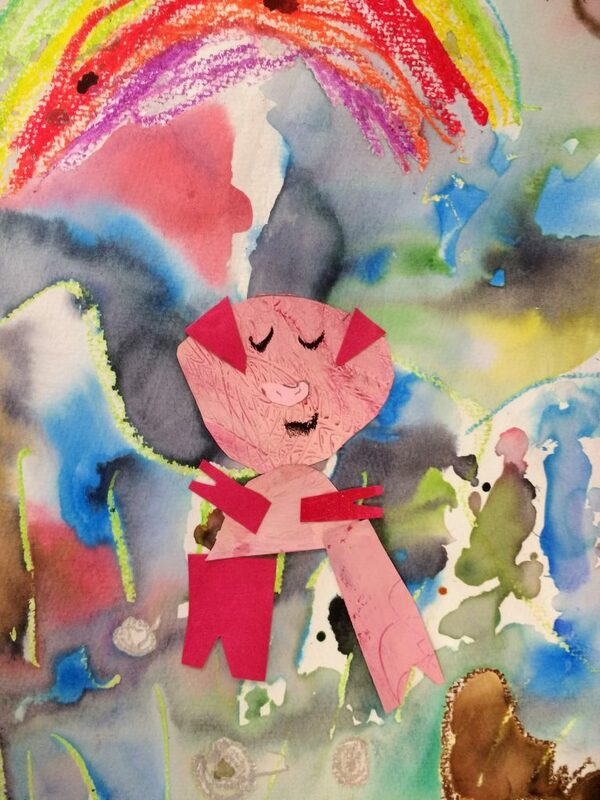 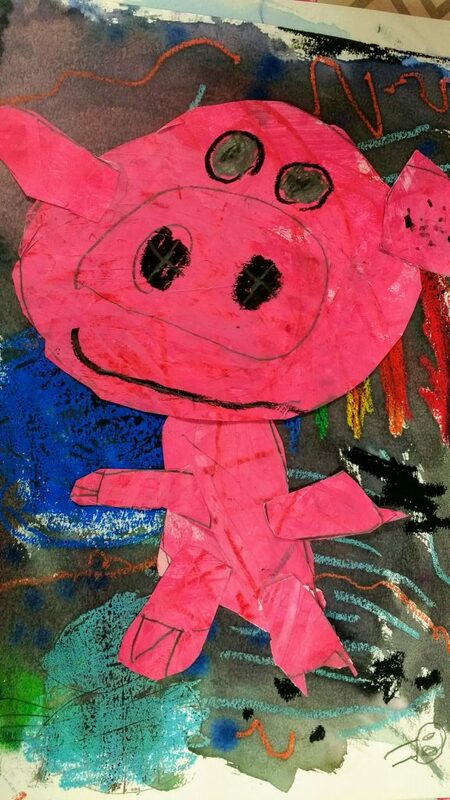 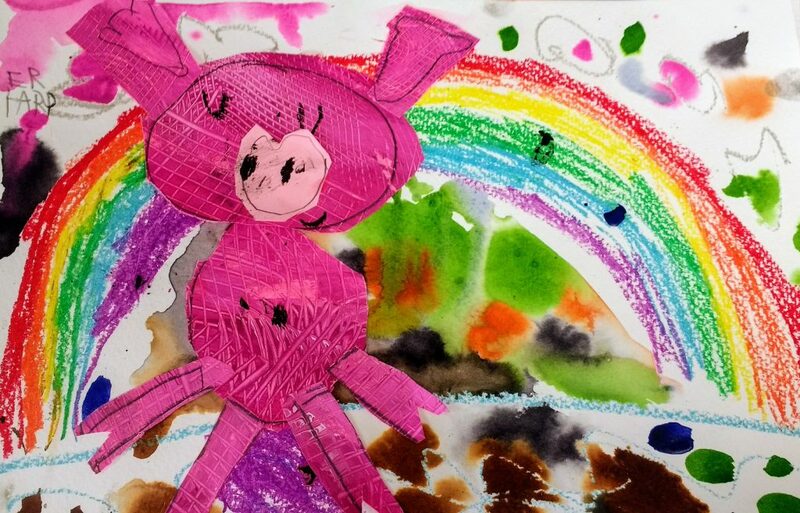 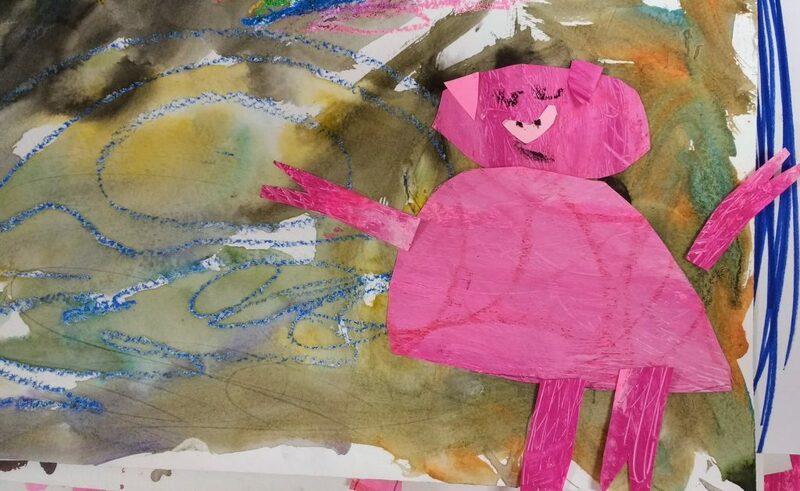 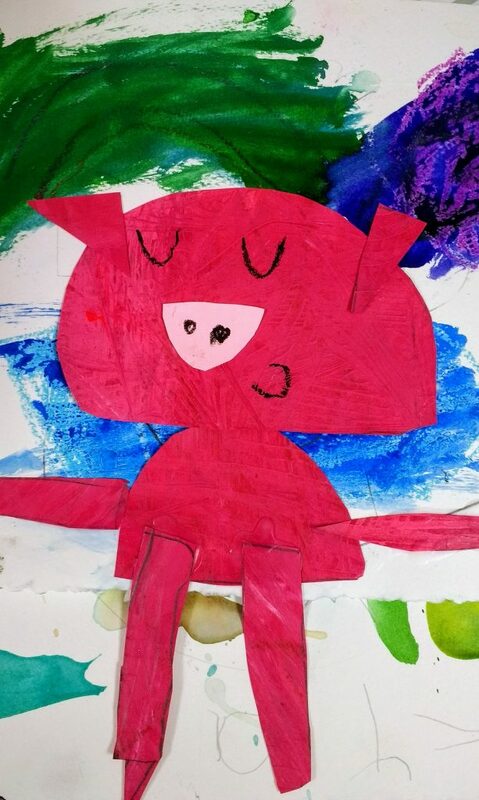 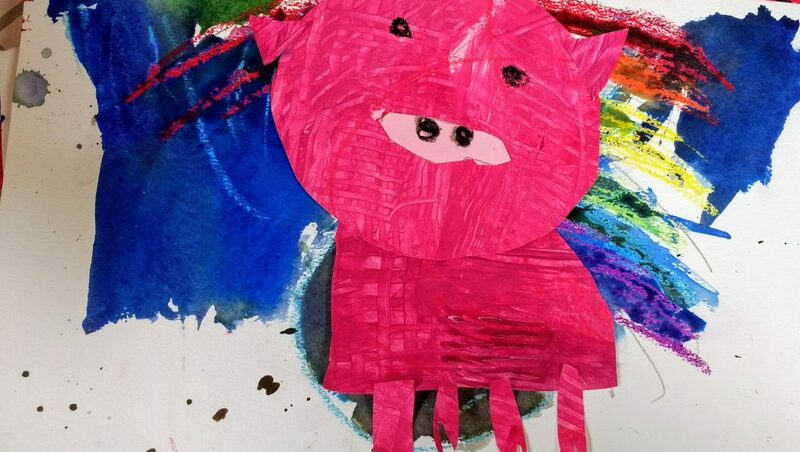 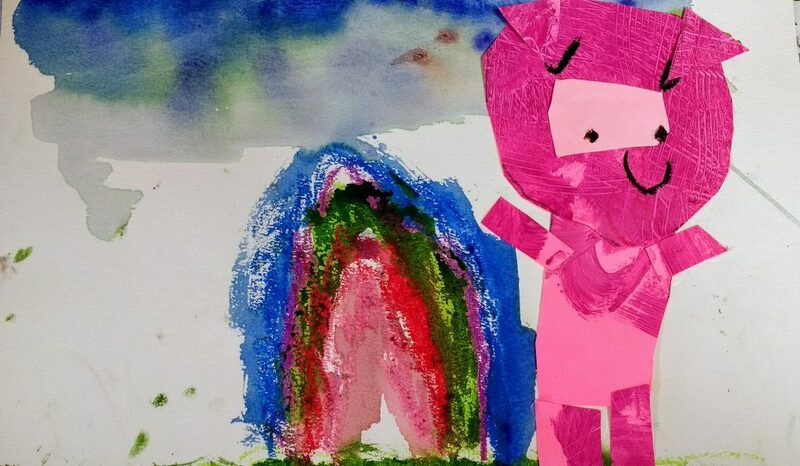 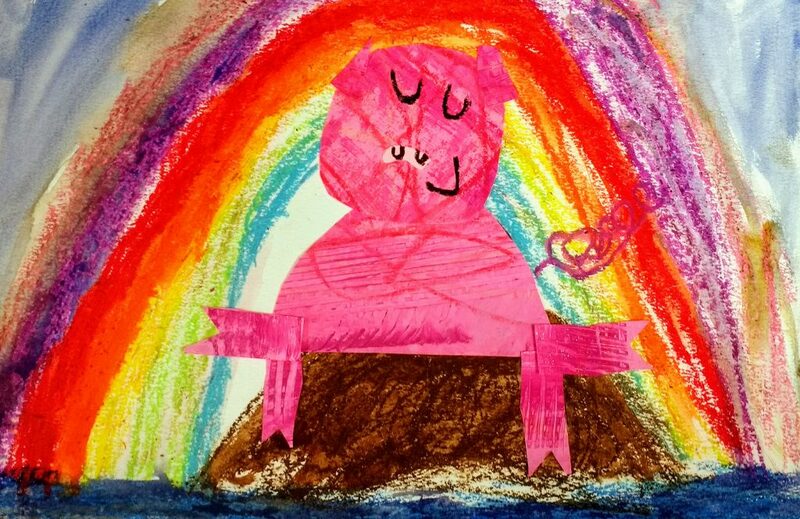 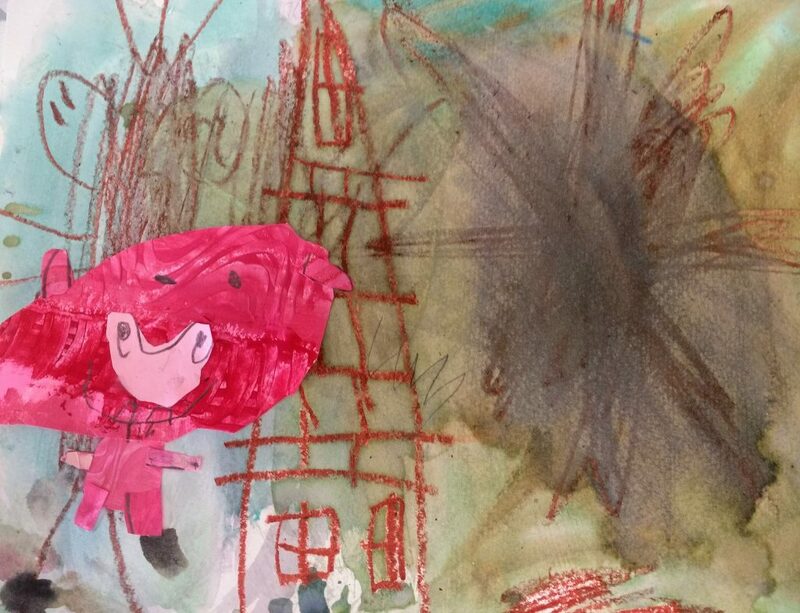 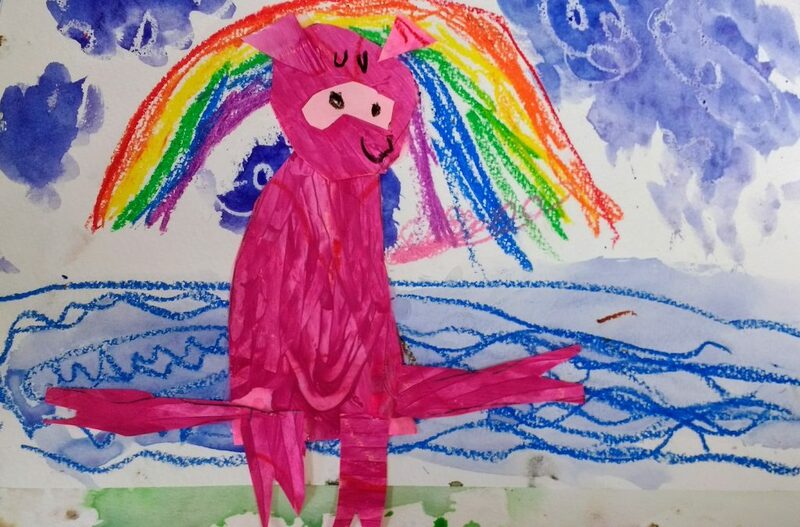 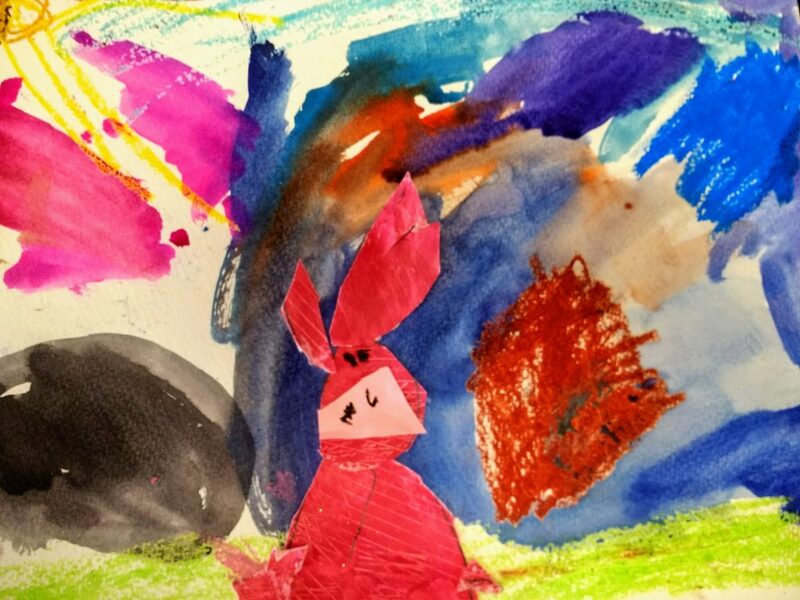 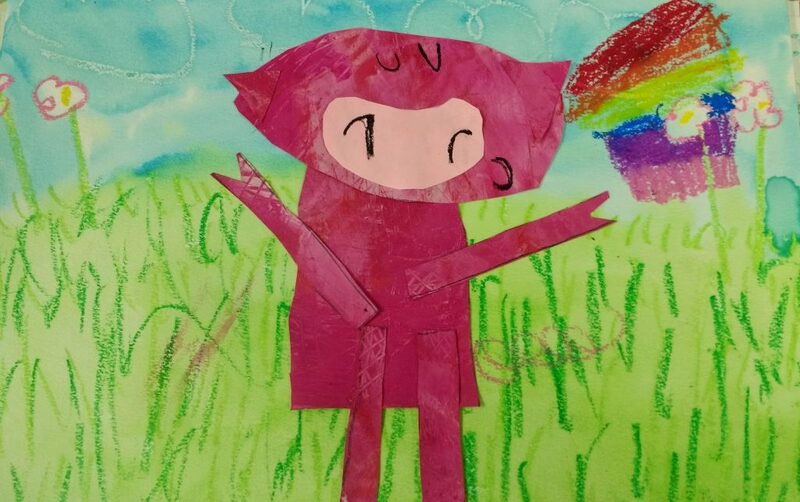 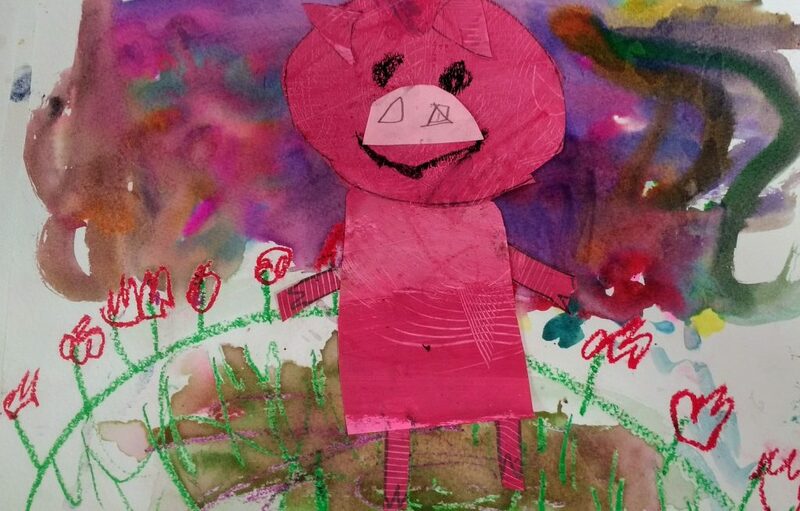 They painted a watercolor wash over their drawing, and cut their textured paper into shapes in order to build a pig.